The following products were sent as press samples. The discount code mentioned is affiliate based. 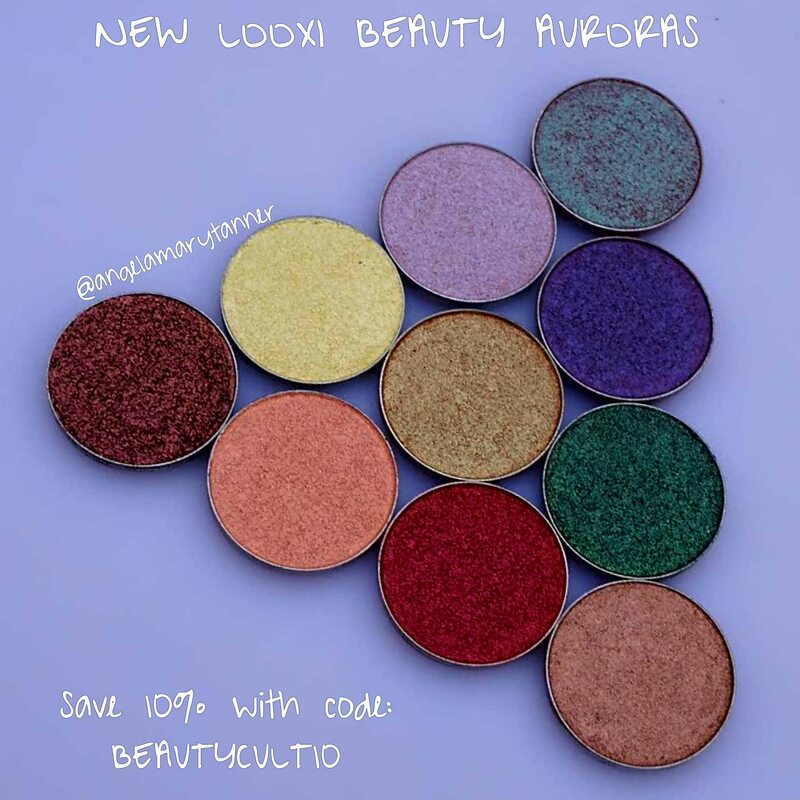 This Friday, May 26 at 11am CST (9am PST/12pm EST) LOOXI BEAUTY is releasing 10 brand new duochrome eyeshadows. As always, they will retail for $5 each ($4.50 with the discount code). 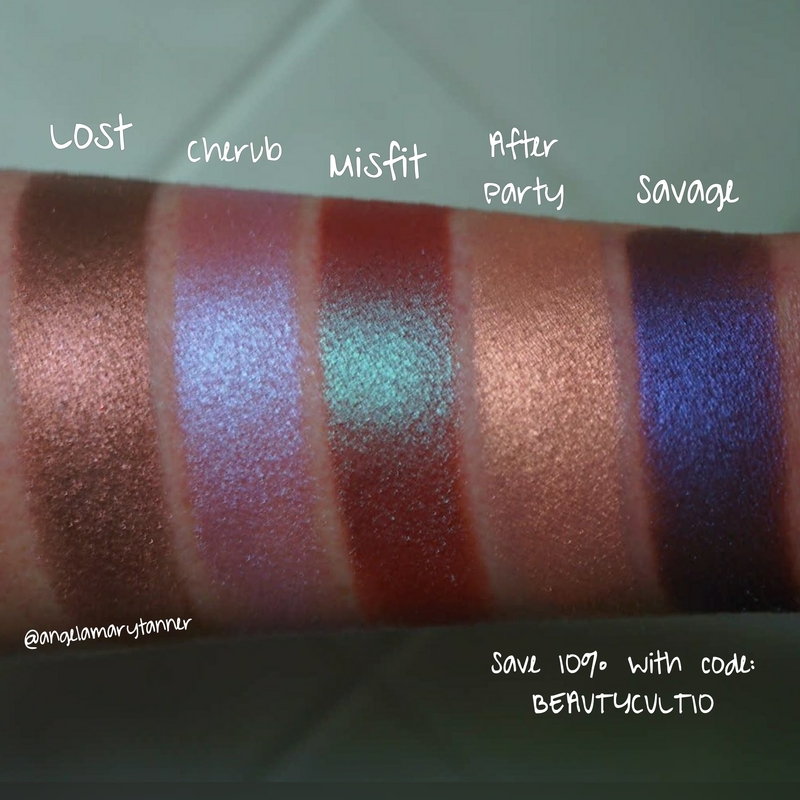 I first swatched these yesterday when it was pouring rain and they didn’t look very good so I re-did them today. 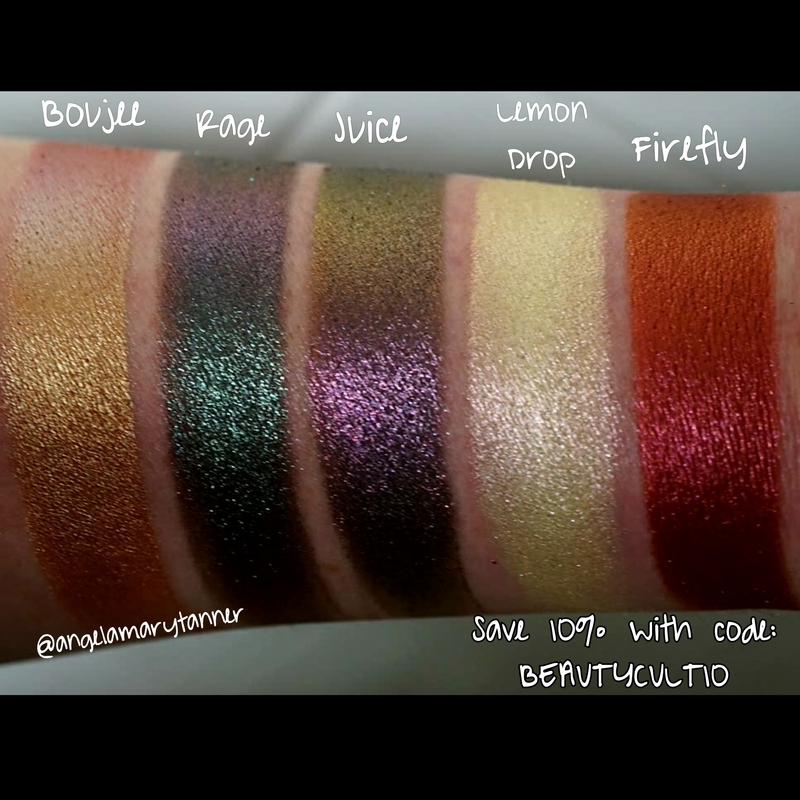 I’m including both sets of swatches. BOUJEE is a yellow gold that shifts red and green. RAGE has a deep base with bright emerald sparkle and a purple/ burgundy shift. RAGE and JUICE have similar formulas. 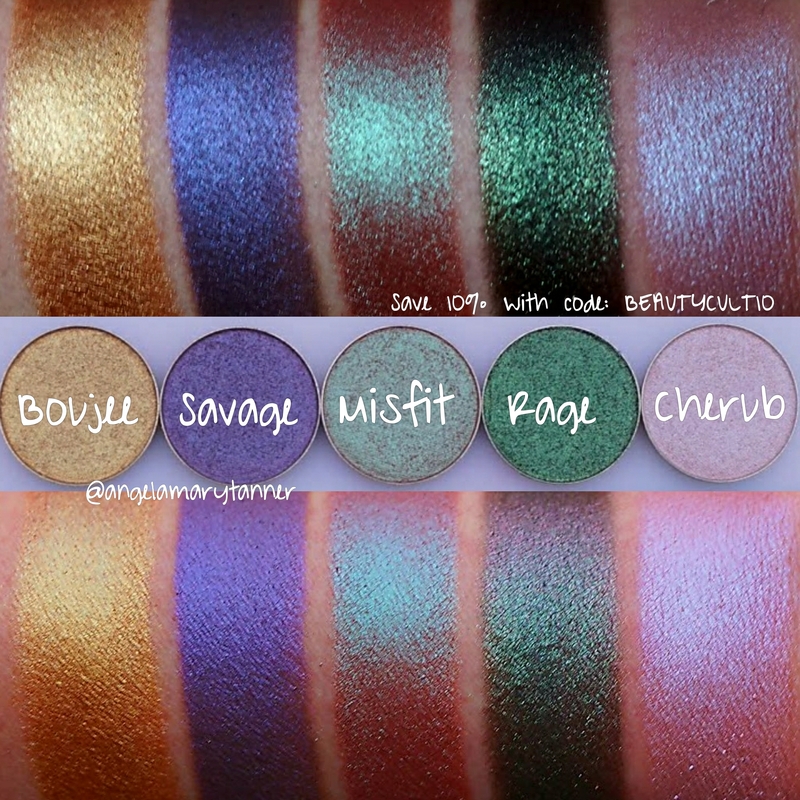 They both have a dark base with an ultra sparkly duochrome finish. JUICE is crazy! When you look at the pan straight on it’s a dark glittery bronze. When you look at it from an angle it’s a deep burgundy. Then when you swatch it, it seems to have a blackened bronze base with heavy purple shimmer and a burgundy shift. LEMON DROP is a light yellow that shifts to a lime green and pink. 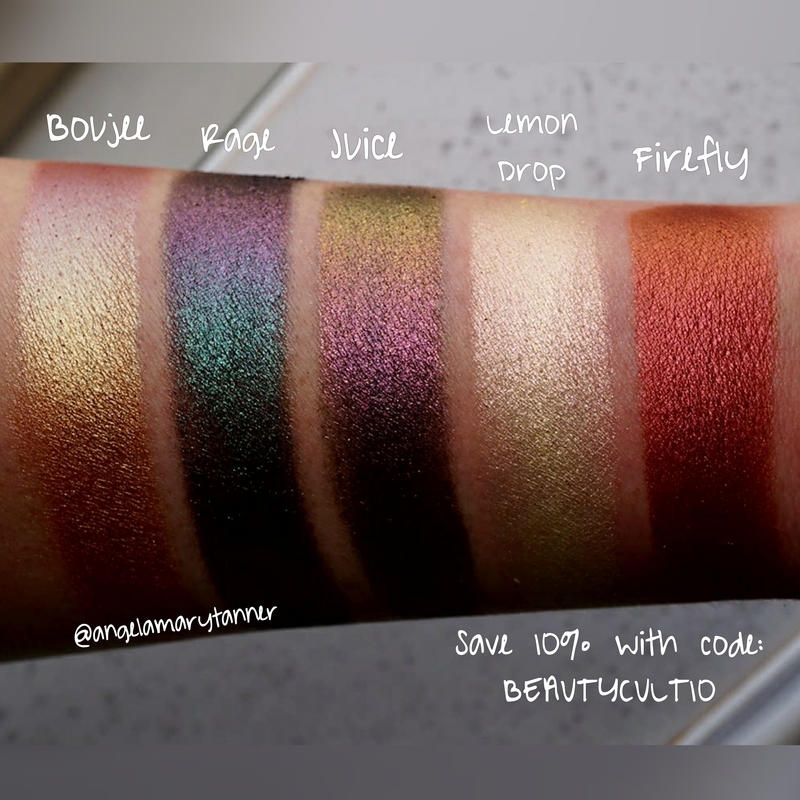 FIREFLY feels like a foiled eyeshadow. 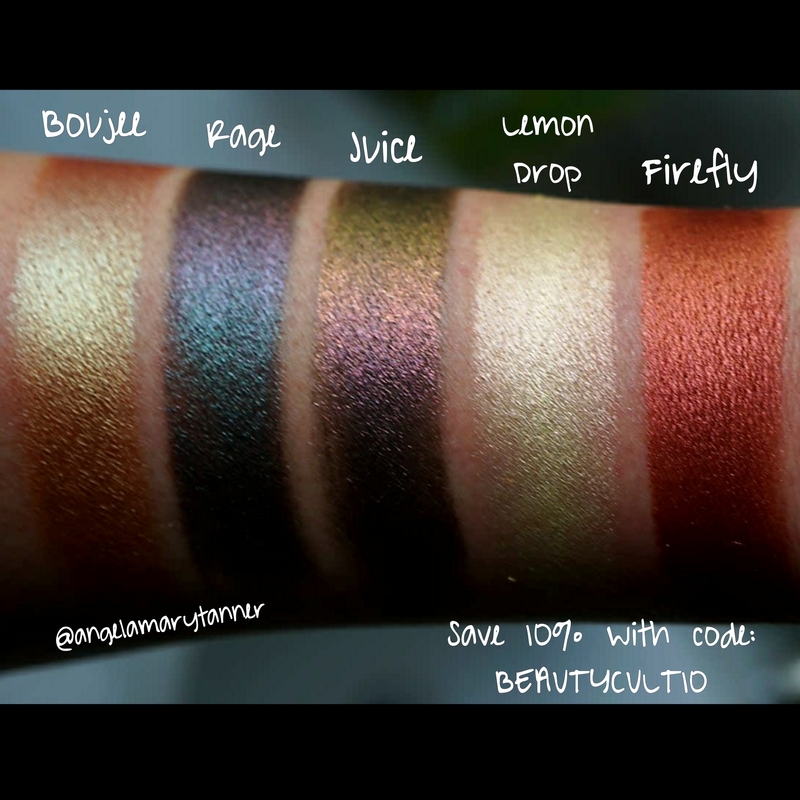 The formula is ultra rich and insanely pigmented. It’s a bright red that shifts copper and burgundy. 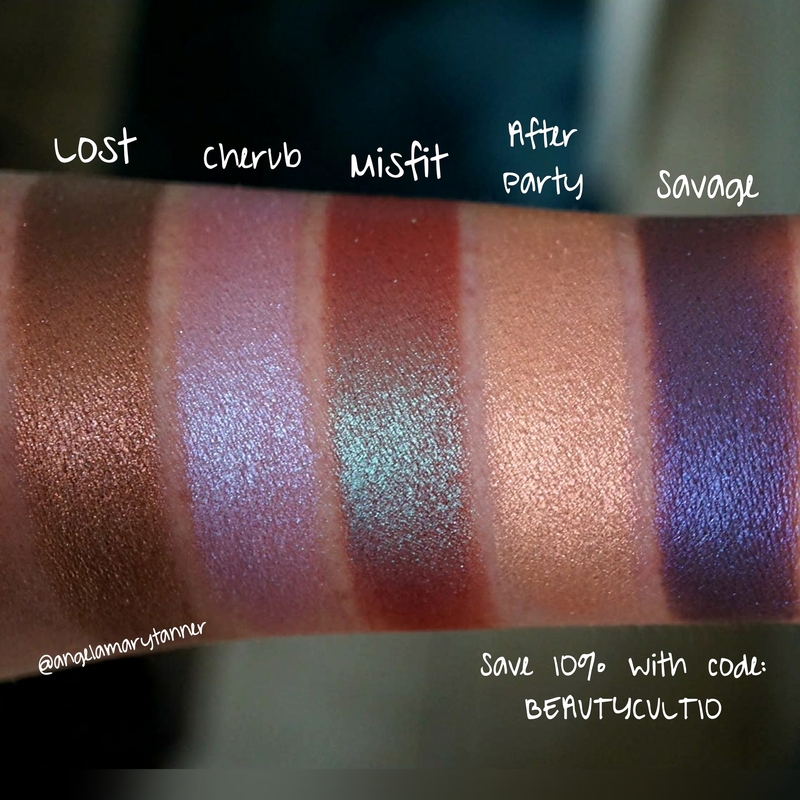 LOST is a bronze that shifts to pinky lavender taupe and a reddish bronze. CHERUB is a delicate lavender that shifts pink and blue. 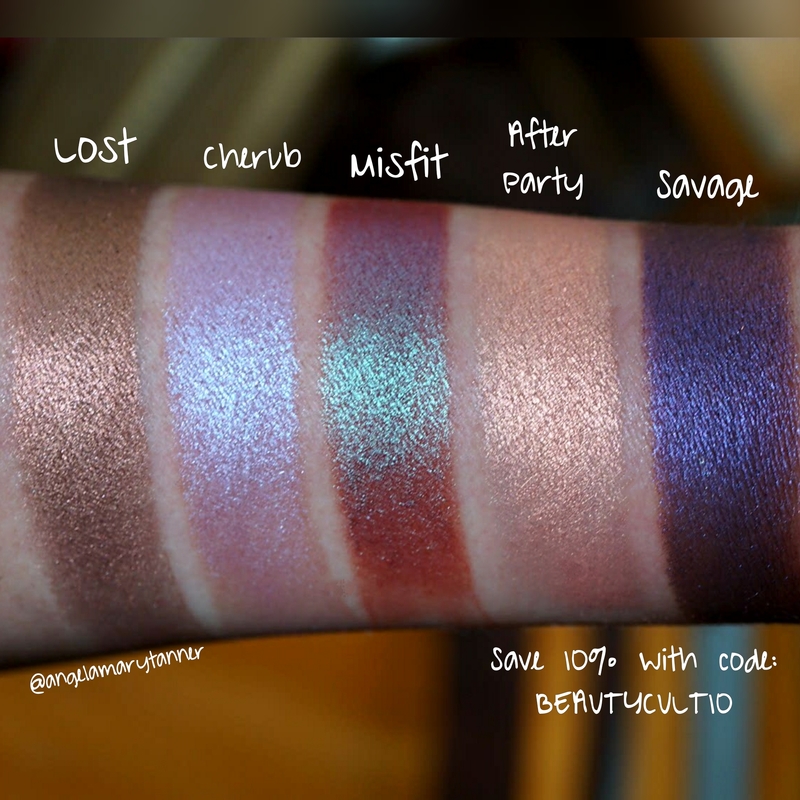 MISFIT has a pink base with heavy teal reflects and a purple shift. AFTER PARTY is a marriage of apricot, pink, peach and gold. Everything that I love in one pan. SAVAGE is a vivid purple that shifts blue. 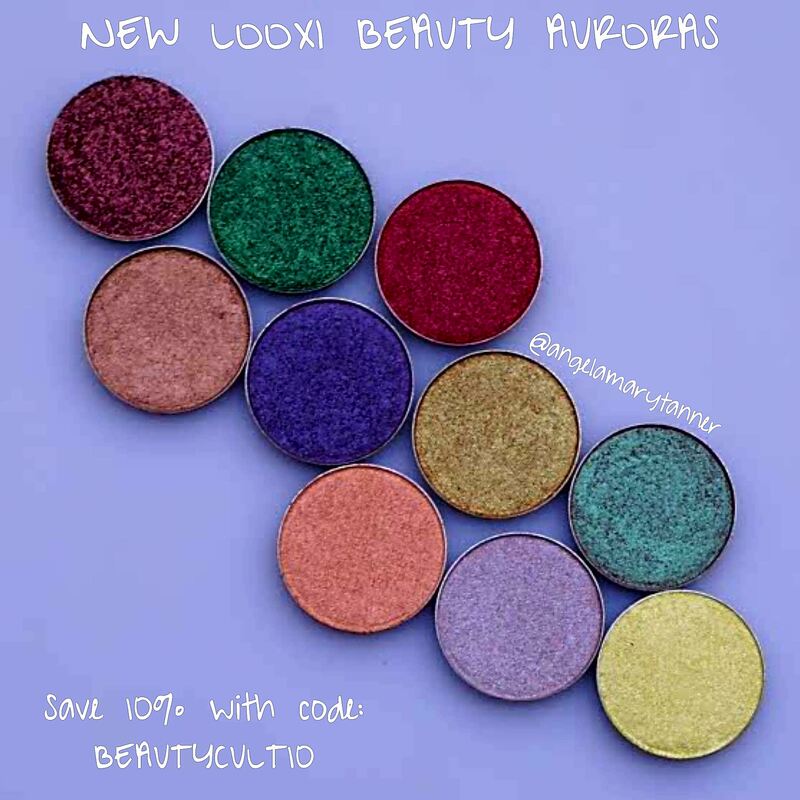 Looxi is known for having some of the best duochromes in the game and she certainly didn’t disappoint with this collection! 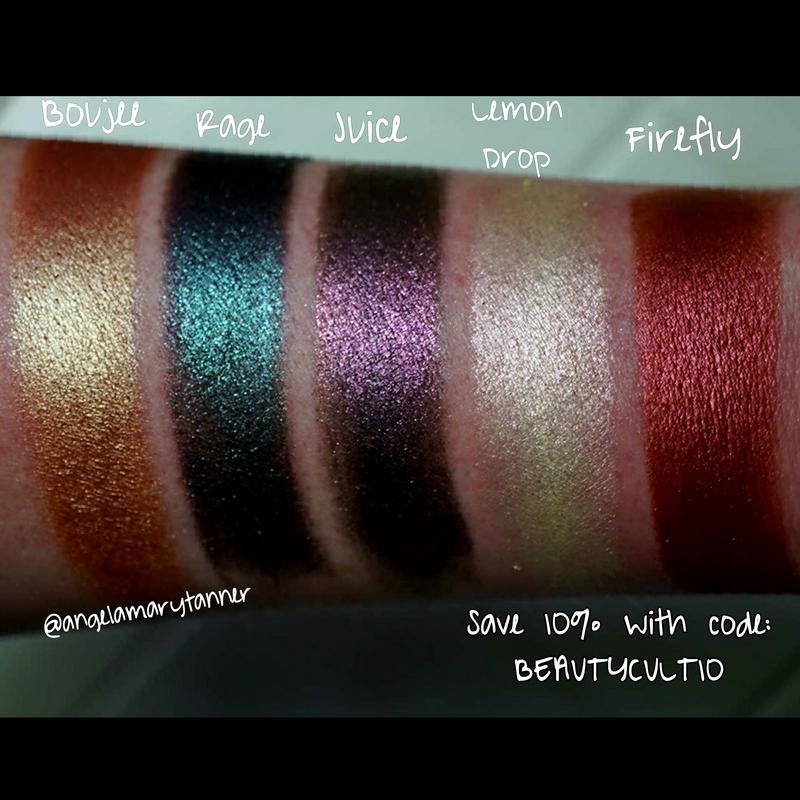 RAGE, JUICE and MISFIT are definite must haves and I’m also in love with FIREFLY and AFTER PARTY. And LOST. And CHERUB. You know. All of them. 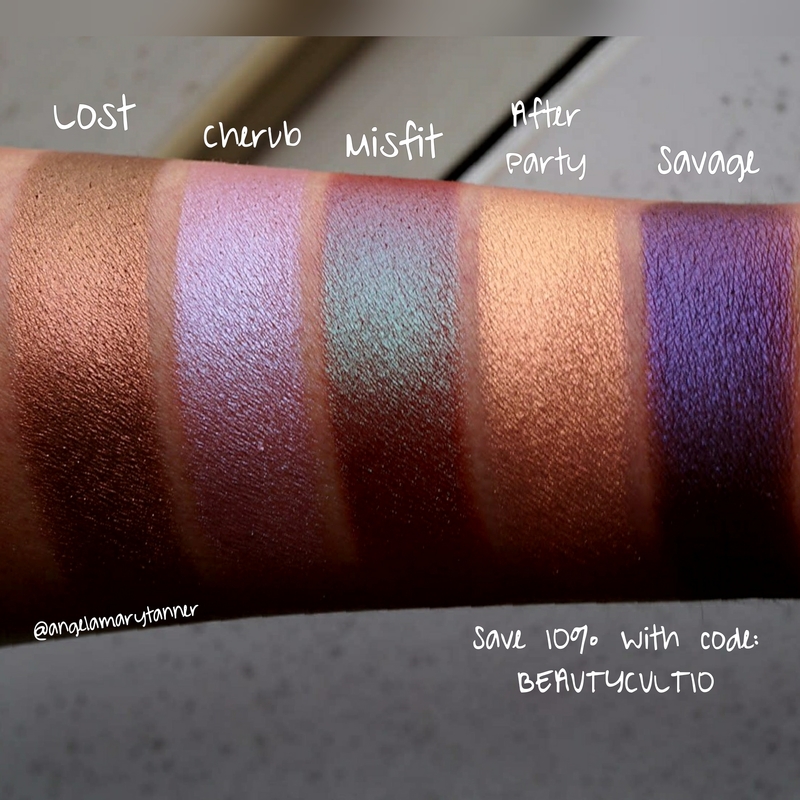 If you’re trying to narrow down your list, be sure to watch Em’s swatch video on YouTube (Our beauty cult). Additionally I’ll be doing some comparisons on my instagram tomorrow. 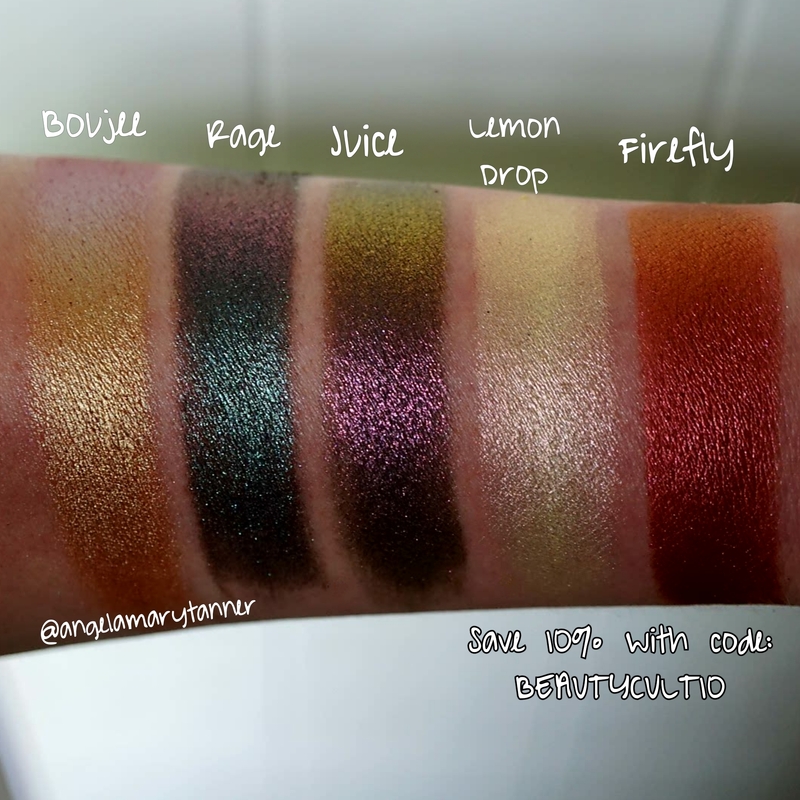 Previous Ittse x Love For Lacquer Collab: THE GLAMBITION COLLECTION – swatches and review! 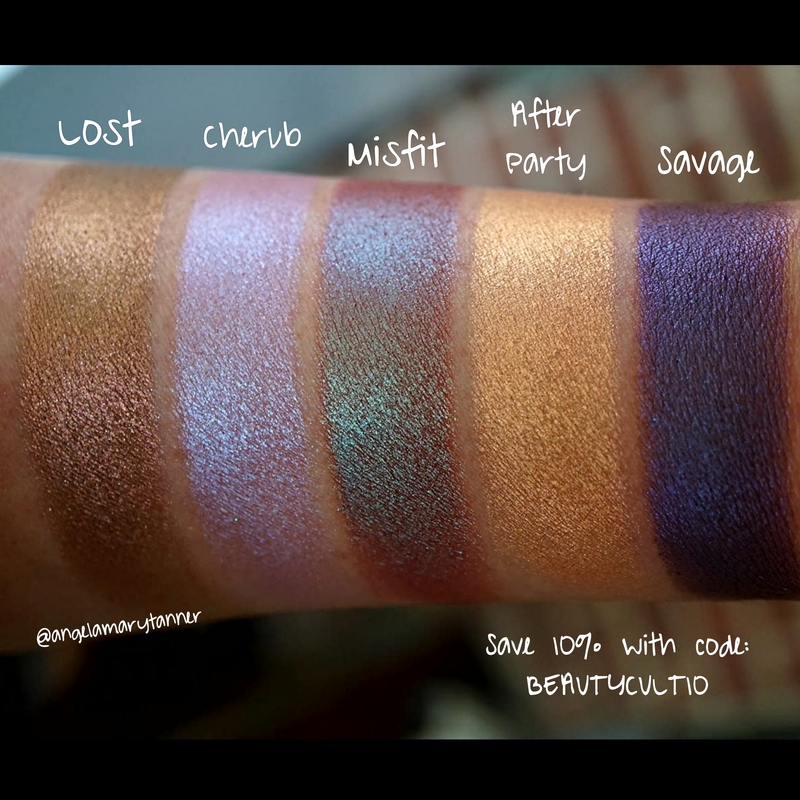 Next Illamasqua Beyond Powders (aka Baked Highlighters) in Deity and OMG: swatches and rant! Those shadows are gorgeous. 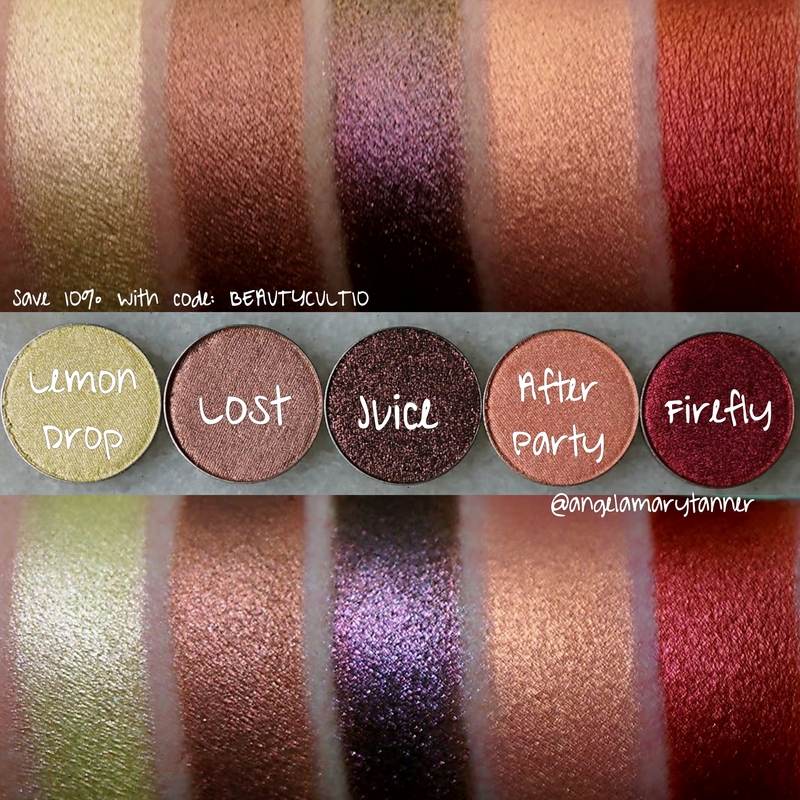 Are they really pigmented or did you have to go over the swatch several times? Did you use a base?